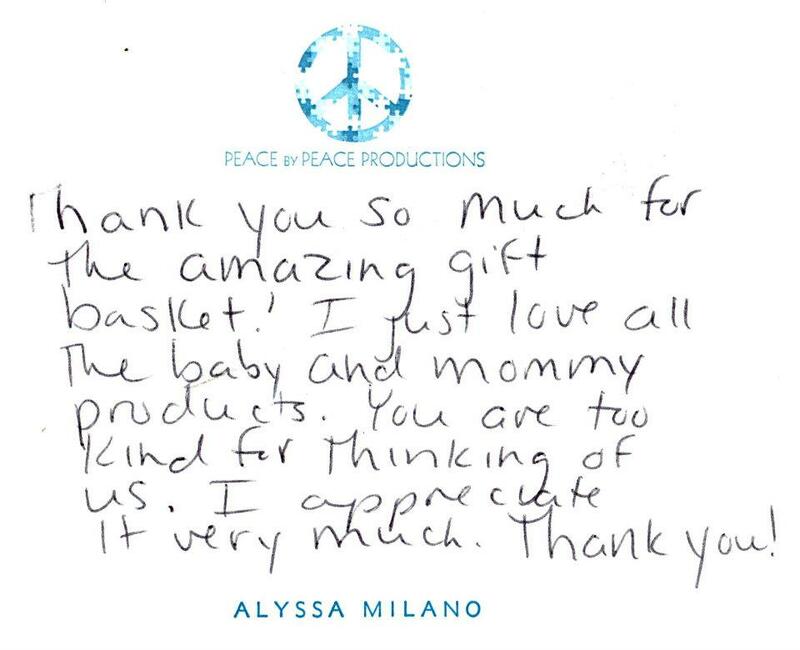 Alyssa Milano thanks us for her gift basket!! — with Erin KrinklzBaby, Jennifer Ormond, Victoria McGee Walton, Bari Koral, Acharya Sri Khadi Madama,Donna Cravotta, Nicole Hays Derryberry, Lisa Cocuzza, Swami Ji (Shri Sathya Sai Baba/Sri Shirdi Sai Baba/Sri Prema Sai Baba), Sprigsville, I.C.O.N. PRODUCTS and Drink Oxylent. Breathe Life.